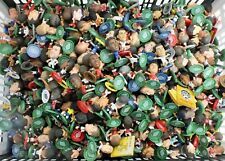 La Liga Soccerstarz - Real Madrid & Barcelona - Multi Listing - Choose your Own! Brand New Steven Gerrard Action Figure. -More realistic than Soccerstarz -UK Stock Free and Fast delivery -Perfect detailing as shown in picture -2.5 inch in height -Liverpool Anfield Home Jersey. -Durable Quality Free Royal Mail second class delivery. Please see my other items for more footballers action figures. Brand New Cristiano Ronaldo Action Figure. -More realistic than Soccerstarz -UK Stock Free and Fast delivery -Perfect detailing as shown in picture -2.5 inch in height -Juventus Turin Home Jersey. -Durable Quality Free Royal Mail second class delivery. Please see my other items for more footballers action figures. 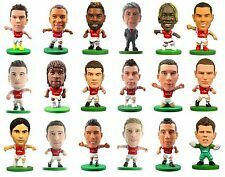 Arsenal players all distributed in 2012 apart from Ramsey from 2014.
soccerstarz bundle. Dispatched with Royal Mail 2nd Class. Mixed teams one figure is damaged. There is however a plug in the bottom through which it can be topped up (suggest distilled water). There is a minor flaw top left on the blue backing colour. It is over 50 years old so has survived pretty well. Alisson Becker. The contract will be governed by the laws of England and Wales and you agree to submit to the jurisdiction of the English courts. Advise you how long it will take to resolve the complaint. Manchester City Soccerstarz bundle. 37 figures in total, no duplicates, all in fine condition. Great if you are starting out or carrying on a collection. Please no international bidders as I only post to UK addresses now. Dispatched with Royal Mail 2nd class. Thanks for viewing and Happy bidding. Vintage Tonka 1989 Figures Lineker and Robson. Each figure stands approximately 11cm’s (4.5”) tall. Been stored away for some time. Nice condition lettering is slightly worn and the white is a little discoloured. Happy to combine postage with other items listed. Painstakingly hand-crafted to achieve the perfect player resemblance, SoccerStarz are pocket sized miniatures of the Real World Stars! The ultimate gift for Football Fans, SoccerStarz are & fully endorsed by the World's Best Clubs & National Teams! Liverpool SoccerStarz keita and shaqiri. Dispatched with Royal Mail 1st Class. Vialli - Italy. Lineker - England. 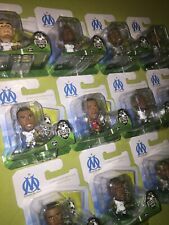 Soccerstarz Bundle mixed teams and players. 113 figures in total, some duplicates but perfect if you are starting a collection or carrying on with one, selling from lots of Job lots I’ve bought and haven’t needed these figures for my own collection. Use the pictures for more of a description of the condition and what players are included. Please no international bidders as I only post to UK addresses now. Also I am only selling these figures as one bundle not separately so please no offers on any of the figures thanks. Dispatched with Royal Mail 2nd Class. Thanks for viewing and happy bidding. Paul Walsh Tottenham Hotspur 1989 Tonka Sportstars Football Soccer Figure Spurs. Dispatched with Royal Mail 2nd Class. 5 Kenner Tonka Sportstars Arsenal 1989 Figures. Adams, Merson, Rocastle, Thomas, Smith. Very collectible.Fab condition. Dispatched with Royal Mail 2nd Class. Manchester City F.C. SoccerStarz Sane. Dispatched with Royal Mail 1st Class. There is however a plug in the bottom through which it can be topped up (suggest distilled water). It is over 50 years old so has survived pretty well. Kick o mania - Lionel Messi. Comes with stand. ITEM HAS A FEW MARKS BUT IS STILL IN OK CONDITION. CHARACTER BUILDING FOOTBALL MINI FIGURE. FOR SALE IS THE FIGURE PICTURED. 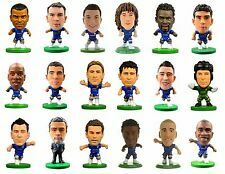 Premier League Soccerstarz - Liverpool FC - Multi Listing - Choose your Own!